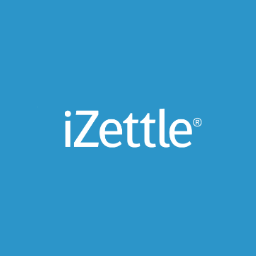 iZettle, a Stockholm, Sweden-based provider of mobile payment services and apps, closed a €60m Series D funding. The round was led by previous investors Intel Capital and Zouk Capital with participation from all of its existing institutional investors 83North (formerly Greylock), American Express, Creandum, Dawn Capital, Index Ventures, MasterCard, Northzone, Santander Innoventures, and SEB Private Equity. The company intends to use the funds to continue the development and expansion of iZettle Advance and accelerate continued growth in existing and future markets. Led by Jacob de Geer, CEO and co-founder, iZettle provides small businesses with mobile payment services and apps including card readers for smartphones and tablets, cash registers, sales tools and cash advances, grow. Founded in 2010, iZettle is now available in 11 countries globally. In conjunction with the funding, the company is introducing iZettle Advance, a new way for small businesses across Europe to obtain access to extra capital by getting an advance on future card sales. Users eligible for iZettle Advance will be pre-assessed for financing, with no need for any paperwork. Upon approval, users will see funds deposited within days, and payback occurs automatically as a fraction of card sales and when sales vary, payback varies with it. Starting today, iZettle Advance will gradually be made available throughout European markets.